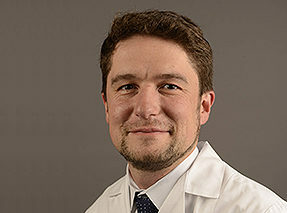 Luk H. Vandenberghe, Ph.D., is an Assistant Professor at Harvard Medical School and Associate Member of the Broad Institute of Harvard and MIT in Boston, MA. He directs the Grousbeck Gene Therapy Center at Massachusetts Eye and Ear Infirmary in Boston, USA, a part of the Ocular Genomics Institute, a bench to bedside research program to study, diagnose, and develop treatments for diseases of the eye. He received a degree in cellular and genetic engineering from the University of Leuven, Belgium. His previous work led to the discovery of novel AAV serotypes such as AAV9, novel insights into AAV structure-function, and vector immunobiology. His laboratory at Harvard addresses mechanistic questions on AAV virology, develops technologies aiming to overcome hurdles to gene therapy clinical applications, and actively translates gene therapy programs in hearing and vision. His research focuses on delivery questions, specifically on the adeno-associated virus (AAV) for therapeutic gene delivery. Recent studies leverage structural and evolutionary information on AAV as a starting point for the design of synthetic viral vector systems, a first generation of which is referred to as AncAAVs which are now progressing to the clinic for a number of indications. Dr. Vandenberghe previously co-founded GenSight Biologics and Akouos. He also is a founder, board member, and advisor to Odylia Therapeutics, a non-profit catalyzing translation for gene therapies within the challenging field of ultra-rare disorders. Dr. Vandenberghe has over 50 peer reviewed publications and more than a dozen licensed patents, mostly related to gene therapy methods, technologies, and applications.